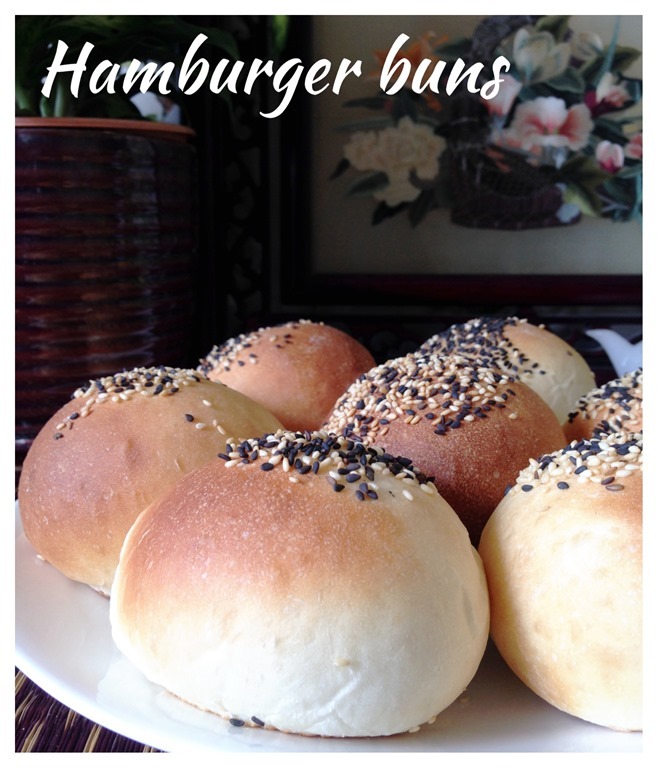 This is a simple dough recipe that I would like to recommend readers to consider keeping for preparing common breakfast buns. 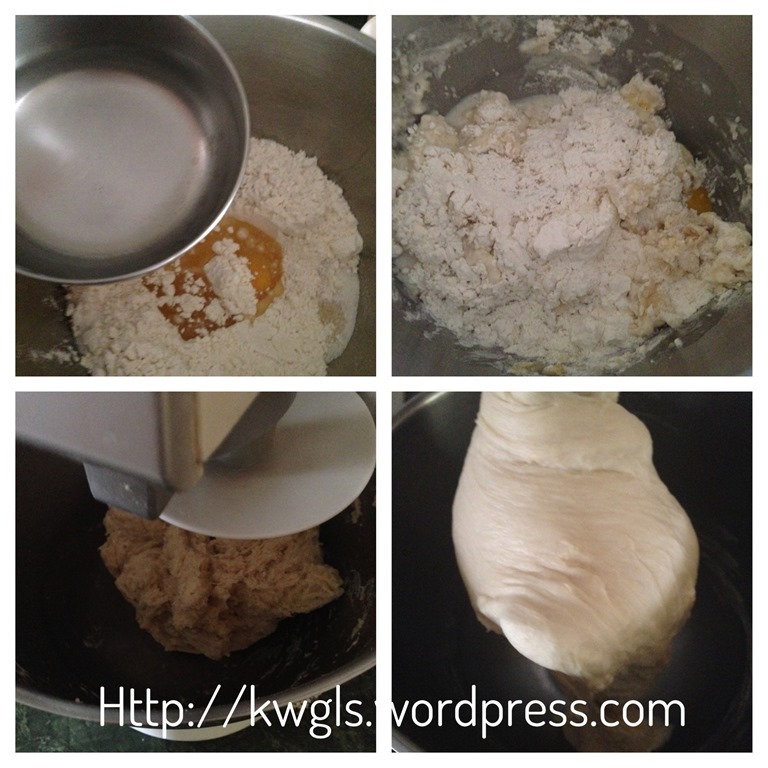 It is is easy and faster to prepare and yields a soft and fluffy bread. It can be used for many buns, donuts and even pizza. I usually prepare about 500 grams of dough (flour only), used the portion I wanted , deep freeze the dough and used in for the next few bakes. 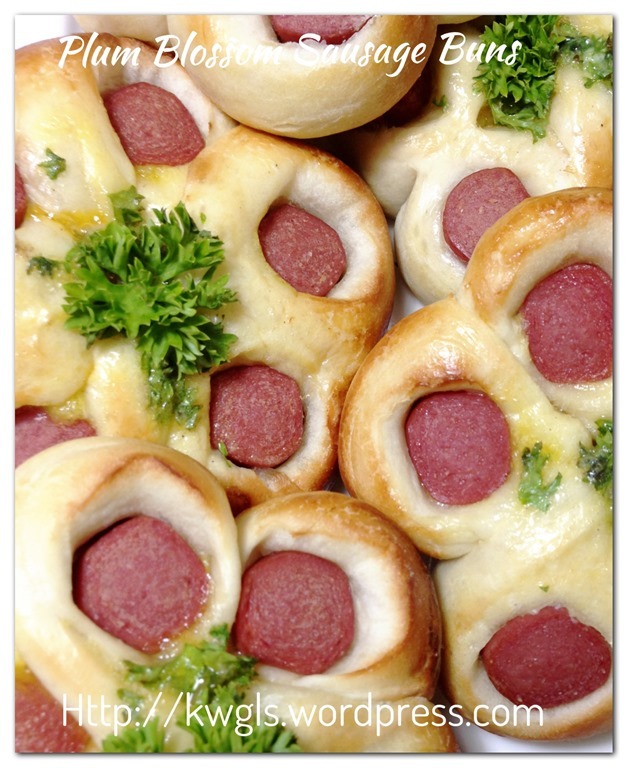 For more detail of Deep freezing and thawing frozen dough, please refer to: Freezing And Thawing Yeasted Bread Dough. 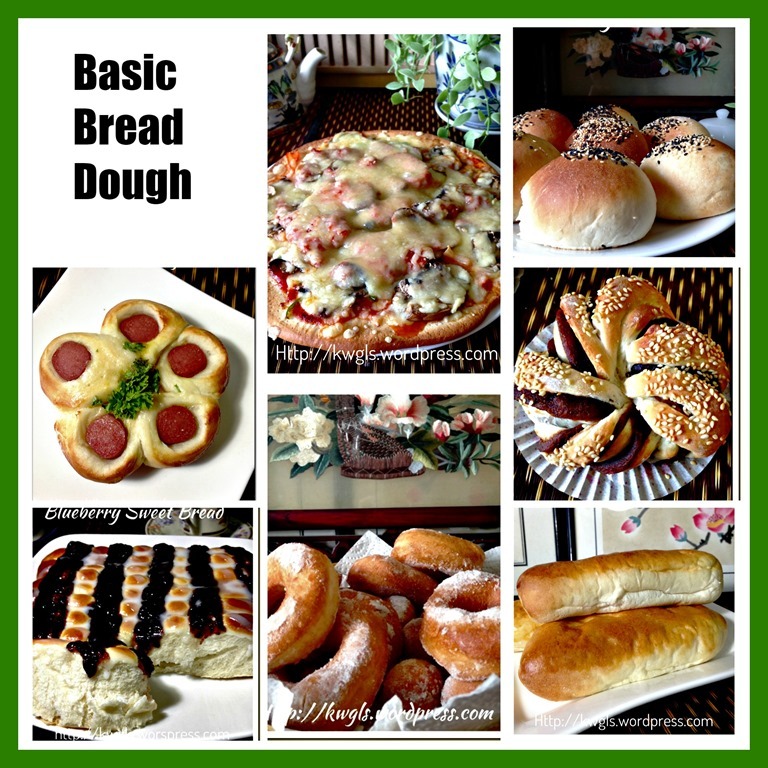 In this post I will share the basic dough recipe, shaping of plum blossom sausage buns and pizza crust. In a mixing bowl, mixed all the ingredients together. 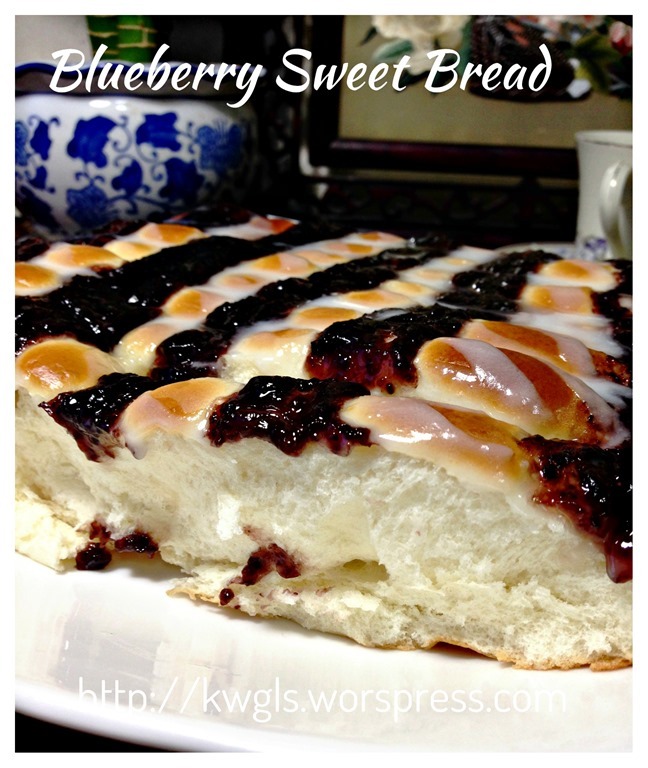 Use a spoon to slightly stir it until it form a sticky dough. Use the dough hook in the machine to beat the dough at medium to low speed (speed 2 in Kenwood Chef or Kitchen Aid) for about 5 minutes. After 5 minutes, change from medium to high speed (speed 4 kin Kenwood Chef or Kitchen Aid) for about 7 minutes until the dough is smooth and leaves the side of the mixing bowl. Transfer the dough out to a lightly flour surface. Lightly knead for 1-2 minutes and let it proof until double in size. Cover the dough with a wet towel or clingy wrap. Proofing time will depends on the weather but it will take about more or less 30 minutes in Singapore weather. After first proofing, take the portion of dough you want to use and keep the others in the freezer. Best practise is to let the proof dough go into the freezer in a bowl without wrapping. 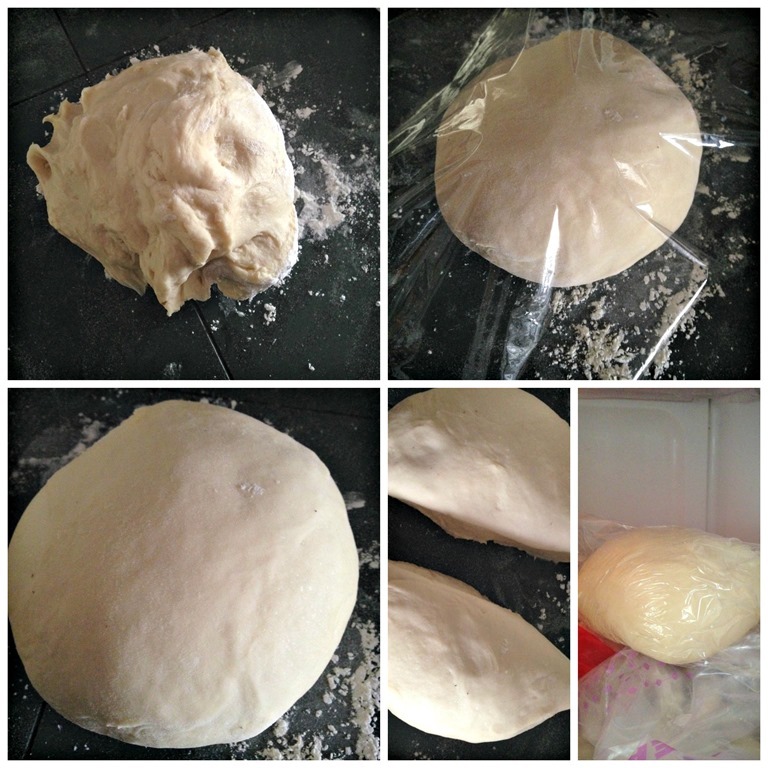 Once the dough cool down about 1 hour later, wrap the dough in some clingy wrap and place in an air tight container. The reason for this step is to avoid water vapour condensation that may wet your dough when you are defrosting. Once the yeast is dormant, no more carbon dioxide will be released and wrapping the dough will not yield any water condensation droplets. 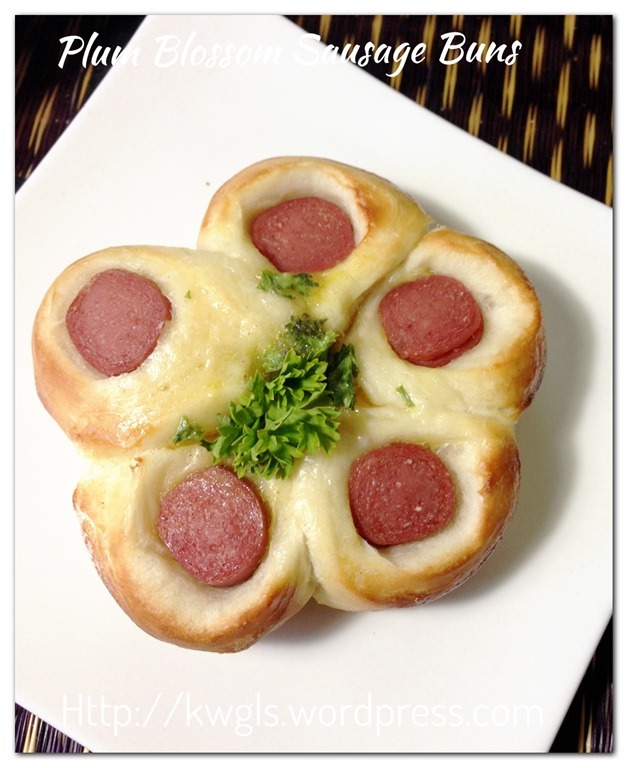 Note that this pizza crust was prepared using fresh dough and the remaining I have used it for the preparation of plum blossom sausage buns as shared below. 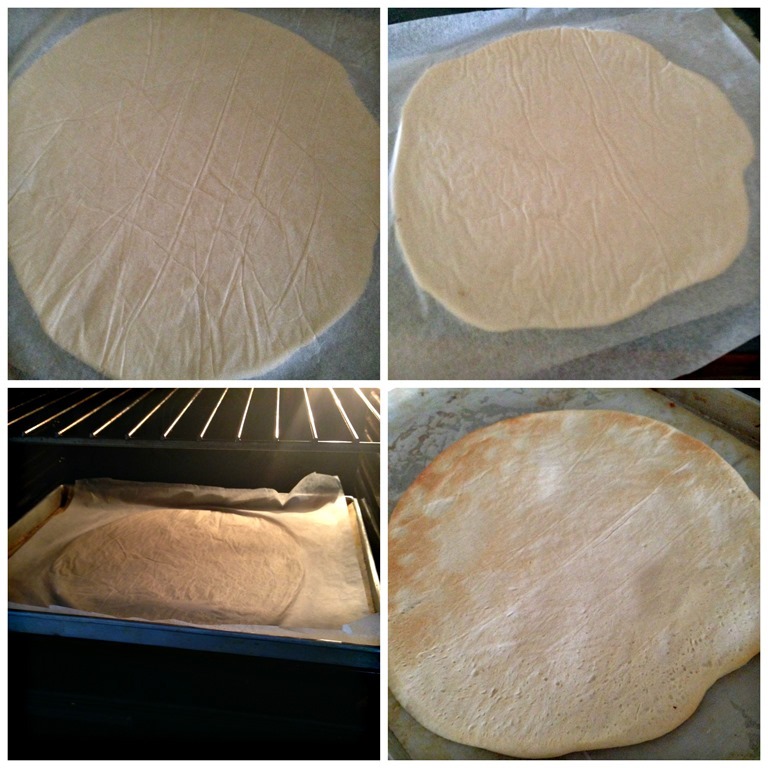 Put some of the fresh dough (after first proofing), shape round and put on a piece of baking paper. Put on top of the dough ball another piece of baking paper. Roll the ball using a rolling pin in a round shape the size and thickness you want. Let it proof until it double in size and bake in the pre-heated oven of 190 degree Celsius for 10-15 minutes. 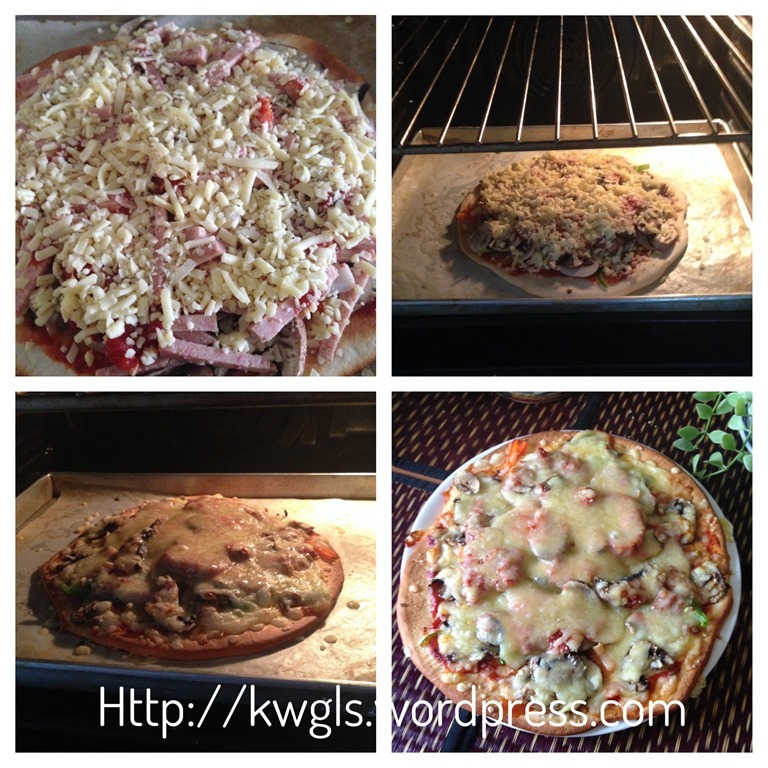 Continue the preparation of pizza by putting your desired topping and baked again until the cheeses melts. 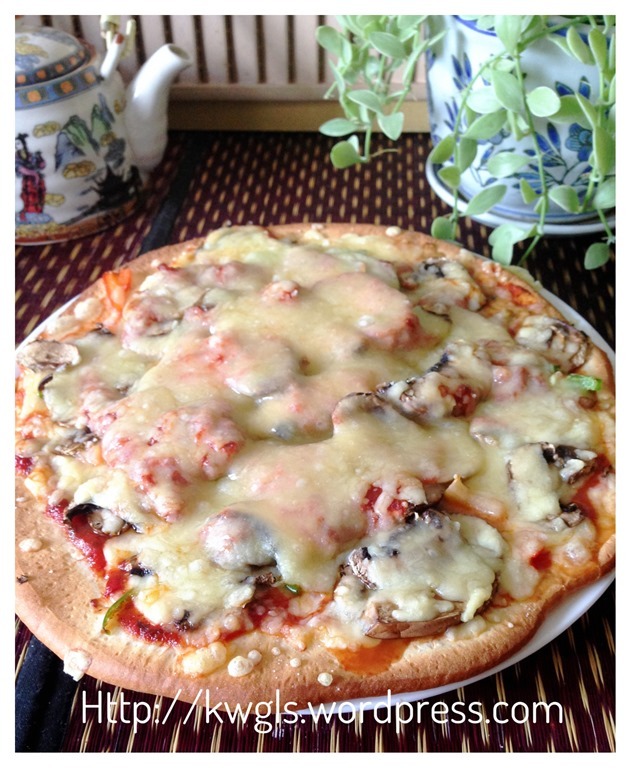 I have used 250 grams for making two 9” pizzas but that depends on how thick and how big you want your pizza to be. Therefore, some discretion on the quantity used is needed when you prepare the dough). 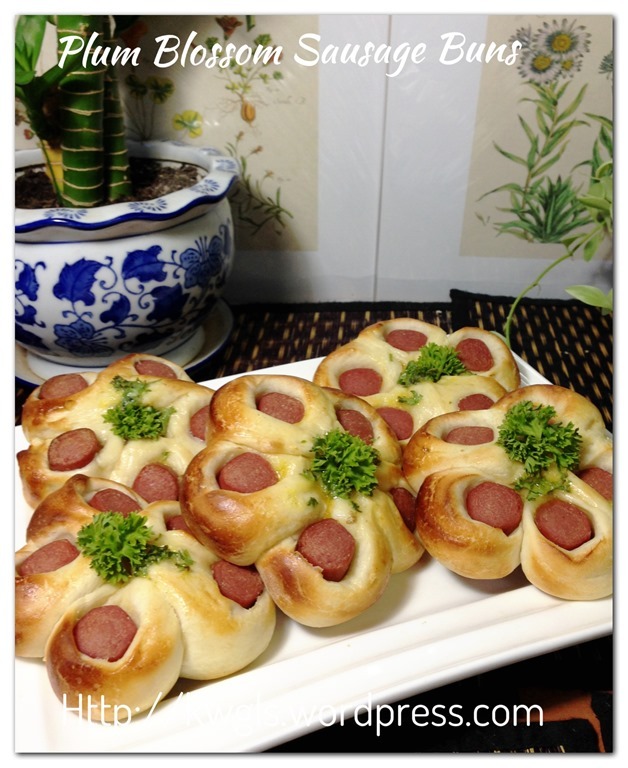 Note that I have prepared this plum blossom sausage buns based on the frozen dough that I prepared for the pizza crust earlier. It was deep froze for about a week. 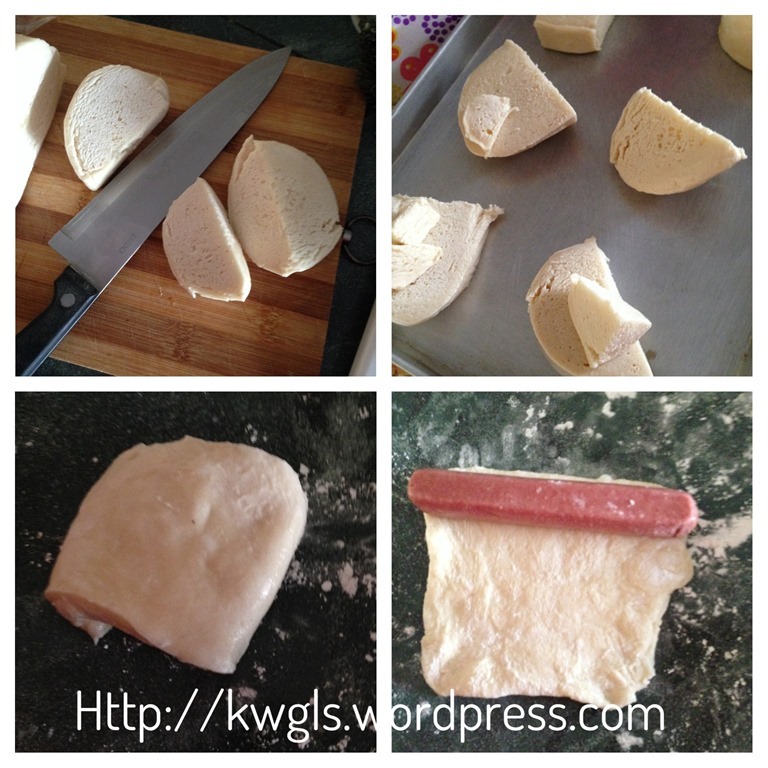 Take out the frozen dough, once the dough is slightly soft and can be cut by knife (5 minutes later), cut 5 dough of 50 grams each. Let it defrost in the room temperature until completely soft. As this is a small dough, therefore, defrosting is very fast and probably it will take about 10 minutes depending on the day’s weather. Once the dough is soft, put in a flour surface, roll the dough using a rolling pin into a square shape following the length of your sausage. 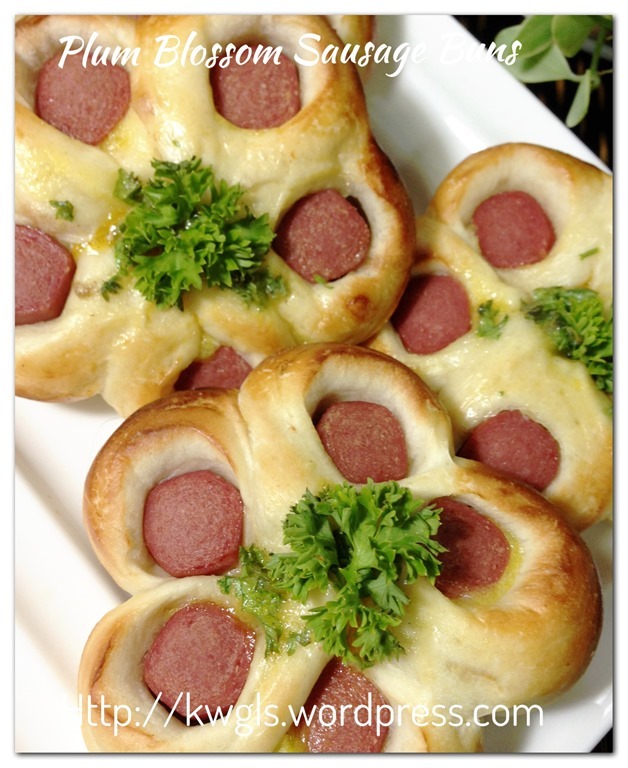 Put a sausage on top of the dough. Pat the dough with some flour if there are some water vapour condensation on the dough. 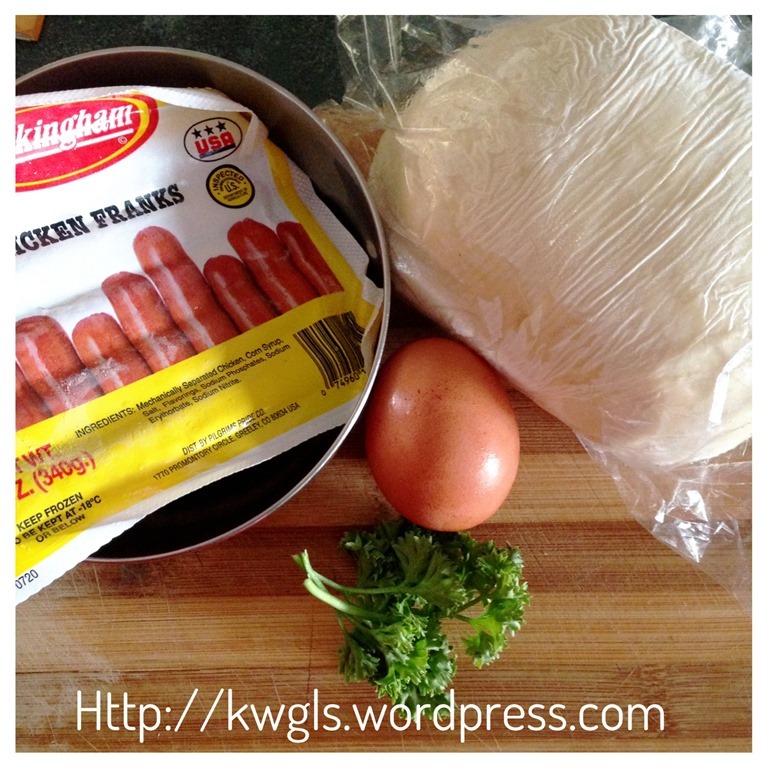 Use the dough to roll up the sausage. Cut into 5 equal pieces. 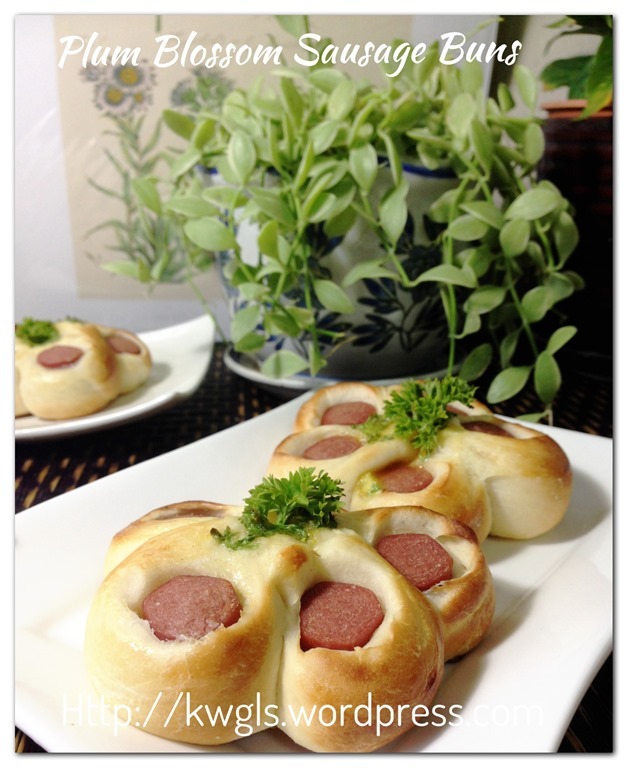 Twist the dough such that the five cut surfaces of the sausage face upwards. 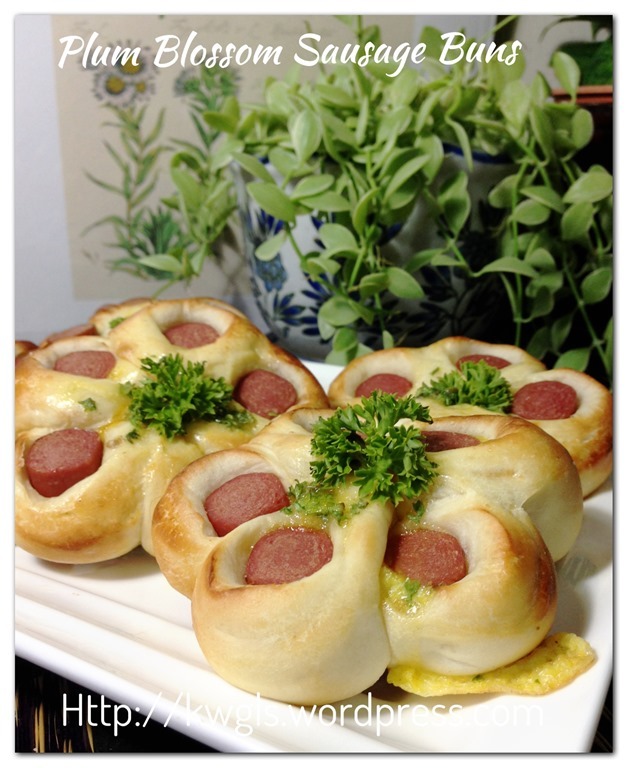 Don’t worry that your twisting will be ugly, as long as the cut sausage is of the same length/size and the dough properly wrapped the sausages, it will look okay after second proofing and final baking. Pre=heat the oven to 190 degree Celsius. 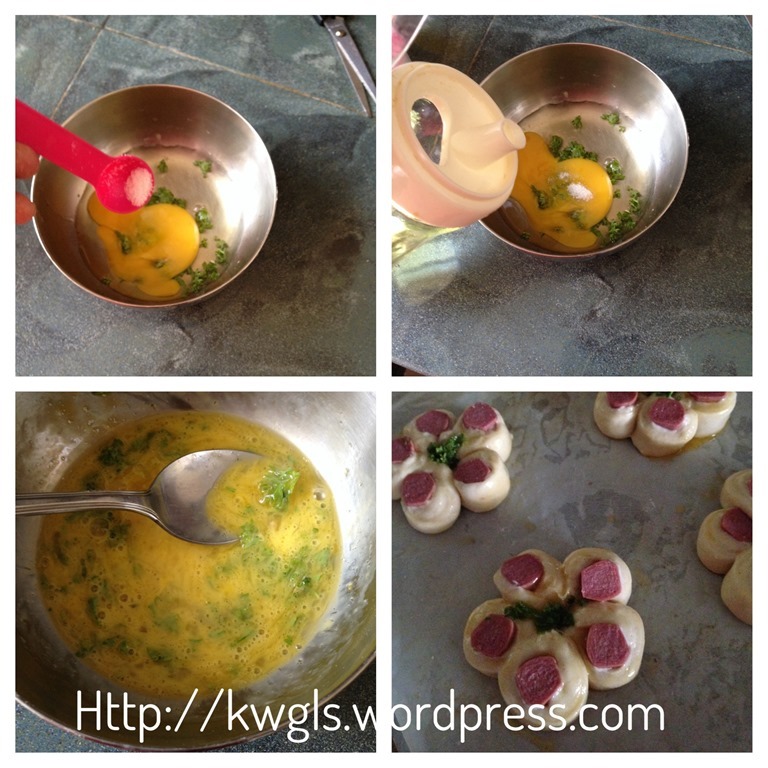 Get ready a bowl, mix the egg, pinches of salt , chopped onion or parsley and cooking oil. Stir until well combined. If you wish, you can add other spices such as black pepper or substitute with oregano. 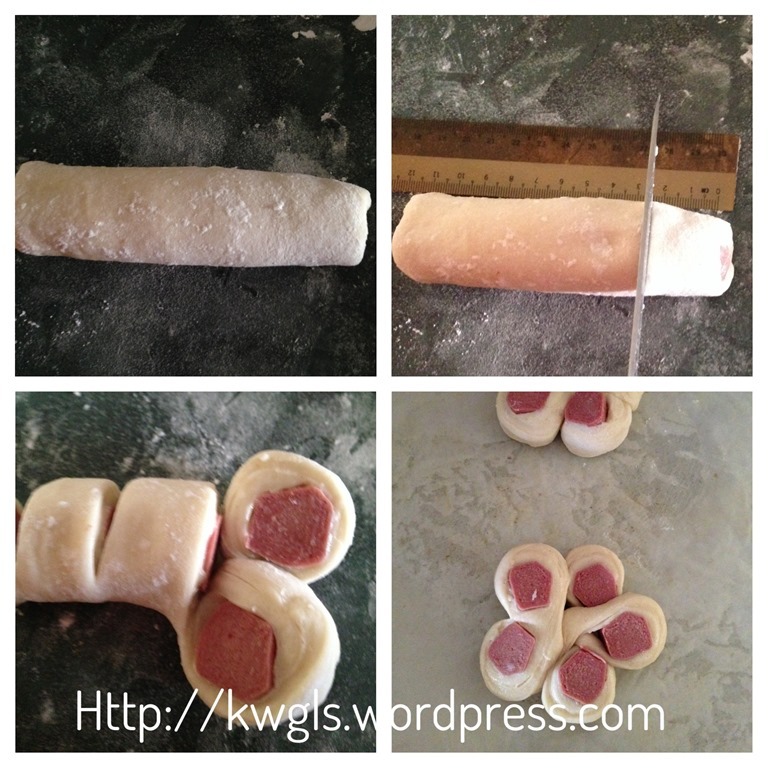 After second proofing, take a small spoon and put some of the egg mixture on the centre of the sausage dough. If there are extra, just brush it on the side of the buns. Bake in the pre-heated oven of 190 degree Celsius for 10-12 minutes or when the bread turn golden brown. 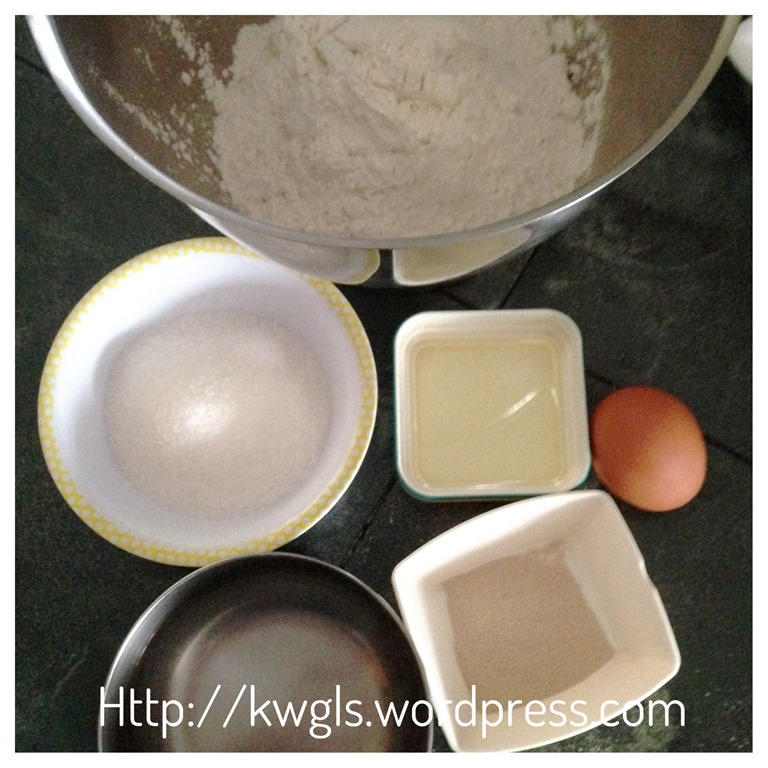 If this basic dough recipe works for many bakes, why is there a need to keep many recipes… A rather long post and hope I did not miss out any point .. 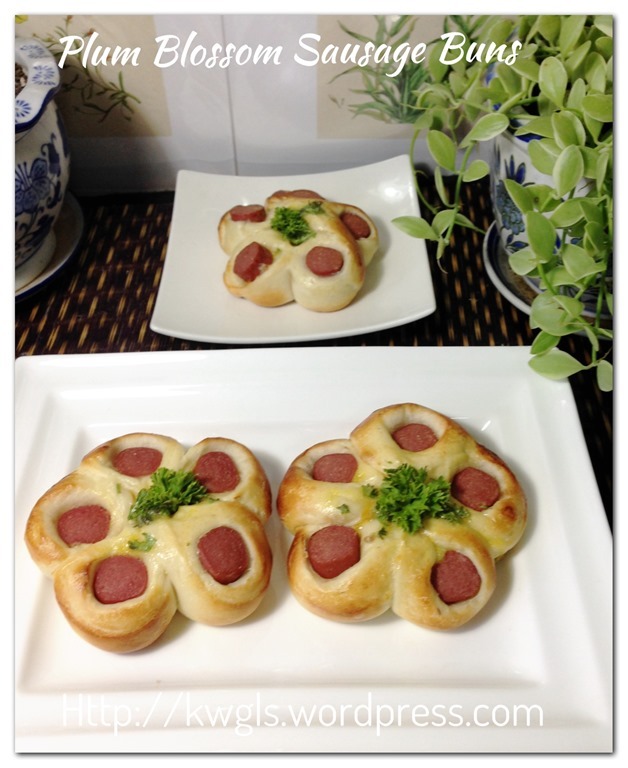 This entry was posted in Breads and Pizza, Food Preparation Series, Special compilation and tagged 8, basic bread dough, GUAI SHU SHU, Guaishushu, kenneth goh, postaday, 梅花香肠面包，Plum Blossom Sausage Buns. Bookmark the permalink. Thanks for sharing. I came across a Taiwan cooking program, she often teaches 3 cups of flour,1 cup of warm water, 2 Tablspo oil, 4 Tablesp sugar, 1 teasp dried yeast, pinch of salt. From here we can add in any thing to make into pizza, buns, bread. 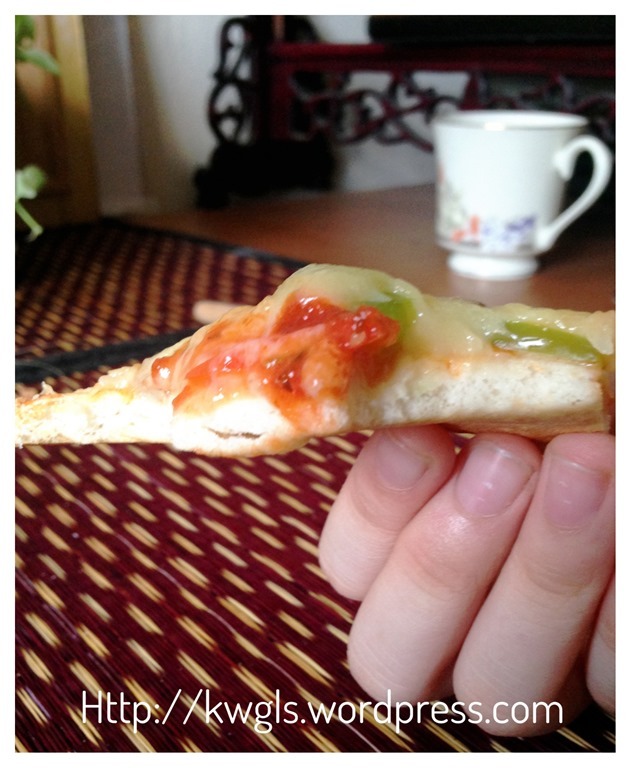 it is very easy to remember 4321 ~~ Too many Chinese has no oven, she taugh us to use our nonstick pan to ” bake ” the Pizza !! I did, it really easy!! Have to brown one side 1st, remove from the heat, turn it over and spread some butter or oil on the both sides, spread the tomato sauce, and arrange the filling, Cheese, filling and top with more cheese. Put it back to the fire with 2 spoons of water to 3 corners and cover it until done. 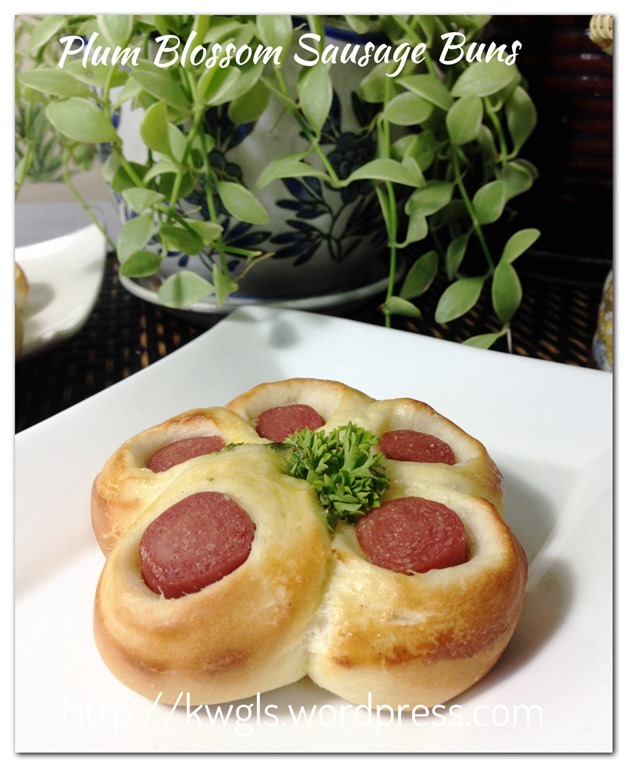 Even your Plum Blossom Sausage Buns can bake it this way or when you go for camping or BBQ !! When turn over, add in some water to help to cook the dough.